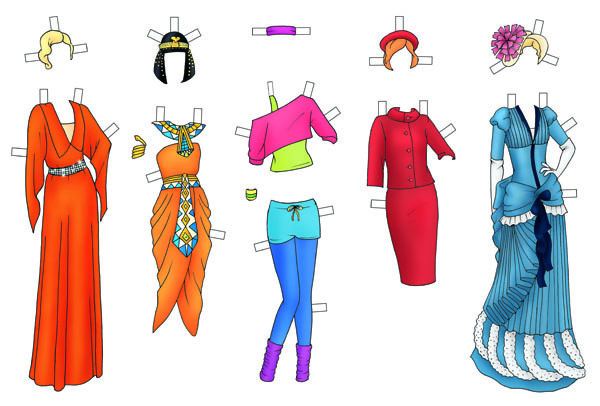 Georgie was commissioned by the lovely people at Cico Books, to produce this fun Paper Dolly Dress Up Book. Not only is it fun creating your very own fashion parade with the lavish collection of outfits and accessories. 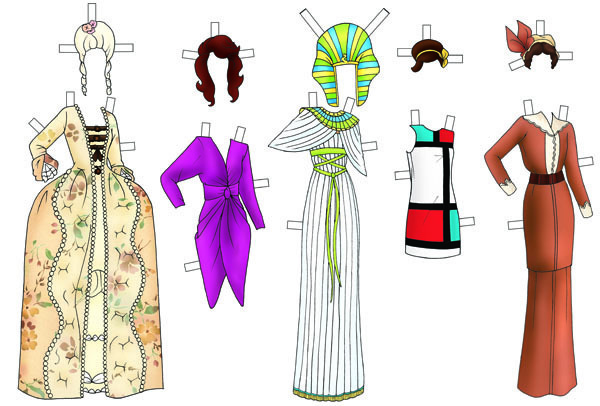 You can see how clothes have changed over time, from the fashions of Ancient Egypt and Rome to the flamboyant finery of Elizabethan dress to the more recent fashions of the sixties, seventies and eighties.